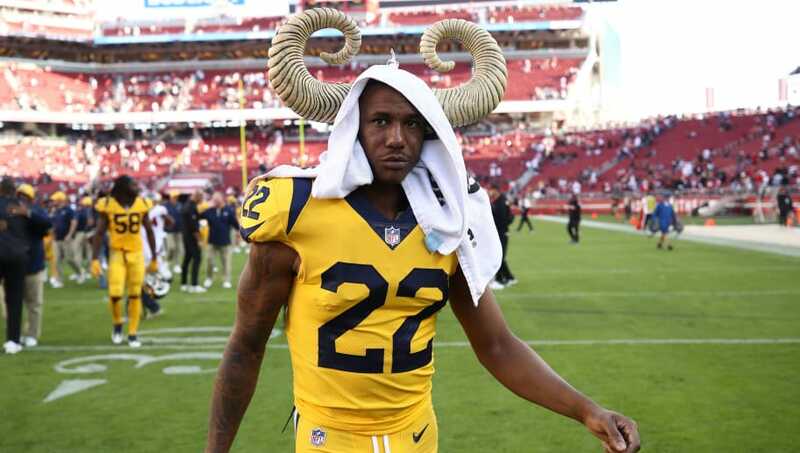 ​When the Kansas City Chiefs ​traded All-Pro cornerback ​Marcus Peters to the ​Rams this offseason, everyone was stunned at the lack of return they received. Fast forward 10 months and the ​Chiefs should consider the trade to be successful, especially when one considers Peters' struggles this season. Peters was traded to the Rams alongside a 2018 sixth-round pick in exchange for a 2018 fourth-rounder and a 2019 second-round selection. ​​Peters was a star during his tenure with the Chiefs, but his work ethic and lack of discipline resulted in him being traded to Los Angeles. He has looked like a shell of himself this season, not contributing nearly as much on the defensive side of the ball. His struggles keeping his cool also remain to be an issue. Despite the Chiefs' defensive struggles this season, they got some valuable draft stock out of Peters, who may have already seen his best days in the league. Peters seems more interested in barking at fans than making big plays on the field. Even when he is in the game, he's not the impact player that fans saw during his first two seasons in the league.